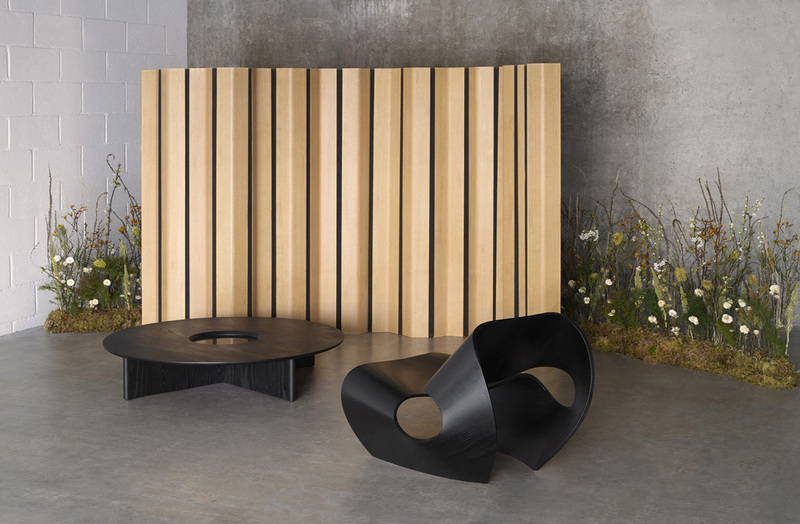 As the 58th Salone del Mobile wraps up for another year it’s time to take stock and attempt to digest all the wonderful sights and experiences that have occurred during the past week. It was sunny at first, then came a little rain and cooler evenings, but in general, the weather was pleasant to enjoy the aperitivo and visit the plethora of events on offer. Of course, I Salone is about the fabulous products and then there are the installations, parties and happenings within the city and surrounding districts and it has been challenging to distill the week into a few words. Needless to say, this year the offering did not disappoint. Rho is the heart of I Salone and was visited by tens of thousands of designers from virtually every country in the world. 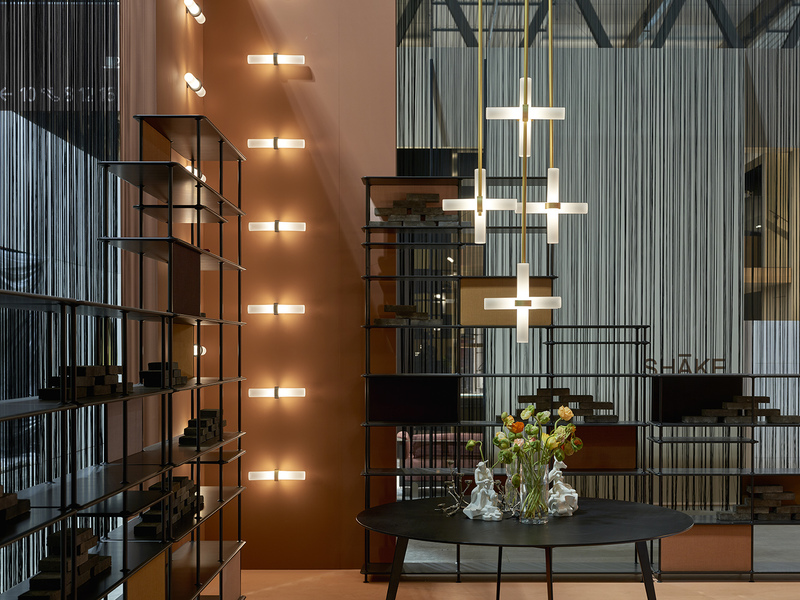 This year the Euroluce biennial lighting exhibition was in residence and there was a surfeit of bling and beyond-enormous chandeliers, as well as the cool clean lines of the likes of Artemide and Foscarini. Two of our premier lighting producers, Rakumba and Articolo, also presented at Euroluce and their stands and products were among the best. Within the 24 halls packed with furniture and lighting there were myriad standout exhibits, especially from the local Italian super brands, but it was the overwhelming amount of product on display and the enormity of the fair itself that really takes your breath away (the halls at Rho are one kilometre from end to end). 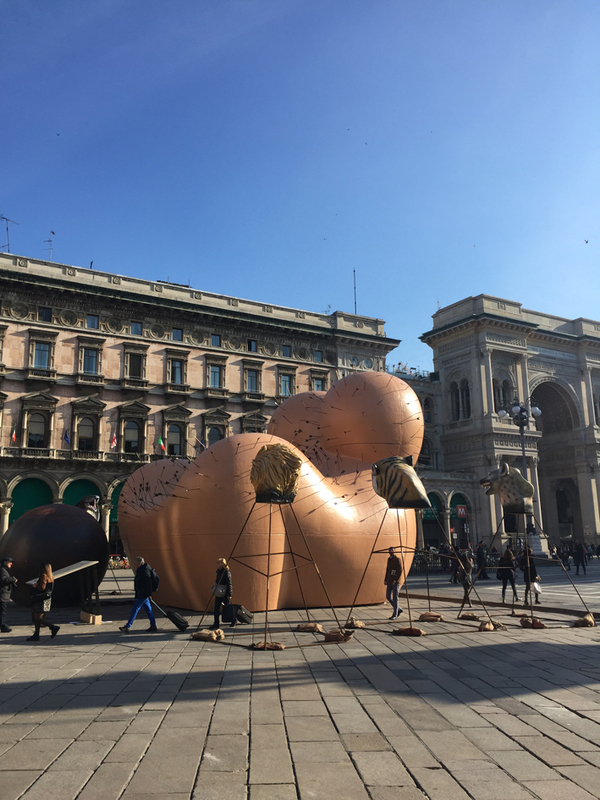 The start of the city journey or Fuorisalone is always a visit to Duomo and this year there was a very large statement with Gaetano Pesce’s Maestà Sofferente and at eight metres high, the iconic UP5_6 chair from B&B Italia was an Instagram favourite. After that, the plan was to try and visit every precinct radiating from Duomo. The Australian contingent was out in force in 5VIE with Local Milan No 4, an exhibition that showcased products from many of our best designers including Adam Goodrum, Adam Cornish, Christopher Boots, Dale Hardiman, Jon Goulder, Nick Rennie, Porcelain Bear, Volker Haug, Ross Gardam and Nau to name but a few. The exhibition, curated by Emma Elizabeth, was perfectly placed within 10 rooms in an historic two-level palazzo and just for a moment, surrounded by Australian accents, it felt like home. DesignByThem showcased a large selection of its products, as well as a new collection in collaboration with fashion designer Dion Lee. This is the first time that Sarah Gibson and Nicholas Karlovasitis (a jury member for this year’s IDEA) have presented at Milan and it has been such a success that this fair is bound to become a fixture in their calendar. 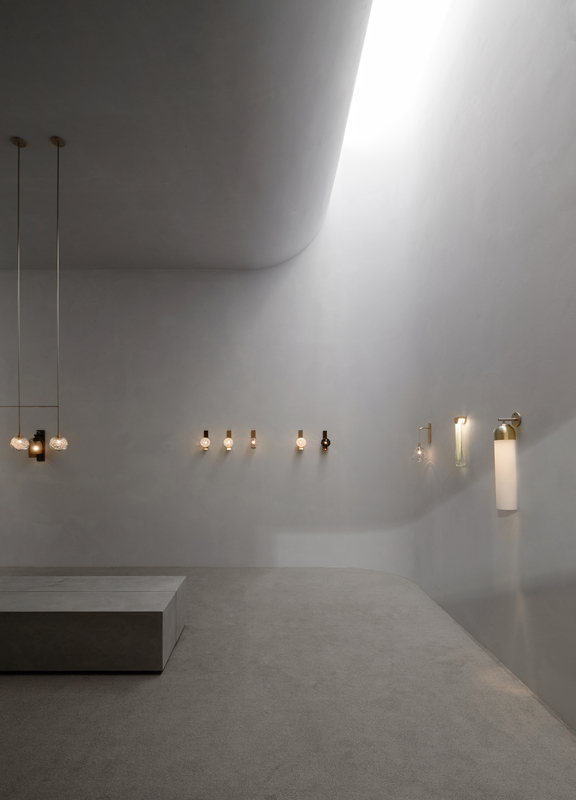 Stellar Works presented new products from Space Copenhagen and Neri&Hu around a theme of theatre at Via Alessandro Manzoni and there was also a collection from Tom Fereday for Lane Crawford, Hong Kong. Fereday was in demand with product also on display at the individual exhibitions of Nau and SP01. 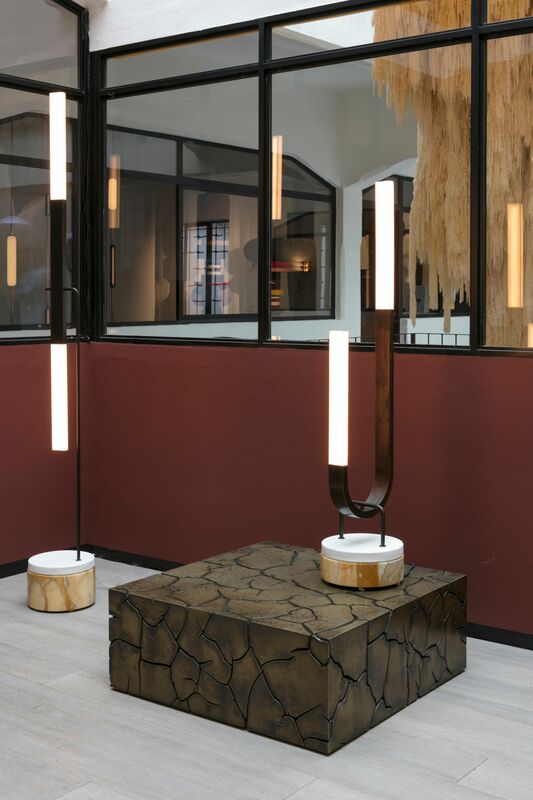 In San Babila, Cassina celebrated the week in true local style and the expansive showroom was dressed to impress with new collections from Ronan and Erwan Bouroullec and Rodolfo Dordoni, while B&B Italia had just completed an interior makeover before the crowds rushed in. Tom Dixon again broke new ground, this time designing a 100-cover restaurant in Via Alessandro Manzoni. The chic new eatery is everything Dixon and although no food was tasted, there was an expectation of fabulousness! In the heart of Brera, Brodie Neill’s Made In Ratio installation was drawing in the crowds and, on the opposite side of the via, Green Wise presented a delicate display of flowers and trees ikebana style. 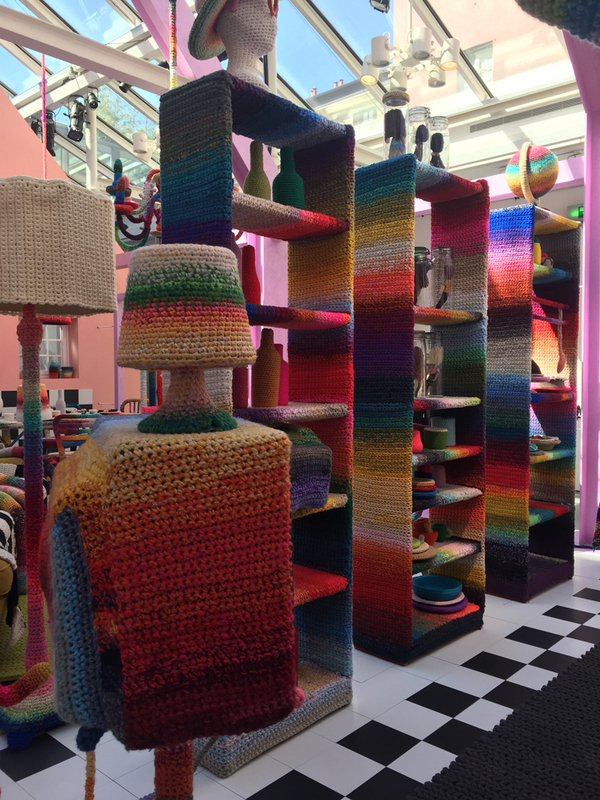 A standout installation was Missoni’s Home Sweet Home, an environment of Alessandra Roveda, where every object was covered by knitted wool, including people, food, plants, furniture, lighting… in fact, every item found inside and outside a house. Of course, Missoni and bright colours are synonymous and this installation was a kaleidoscope that was bright and fun and a total delight to visit. The Wallpaper* Handmade exhibition was beautifully presented and curated, and among the many exhibitors were a group of young Singaporean designers that together showed great maturity and design resolution in their products. 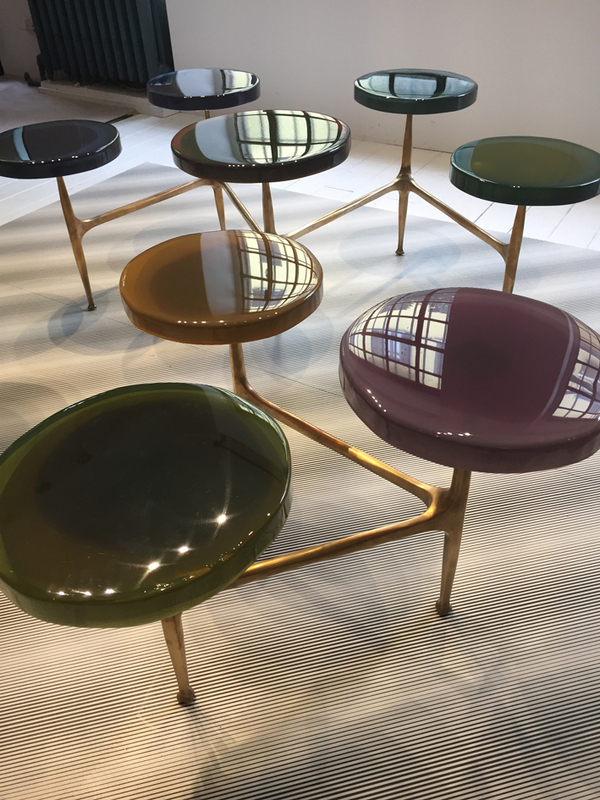 Another eye-catching installation was at Draga & Aurel where furniture and lighting made from brightly coloured resin was unusual in form and clever in function. 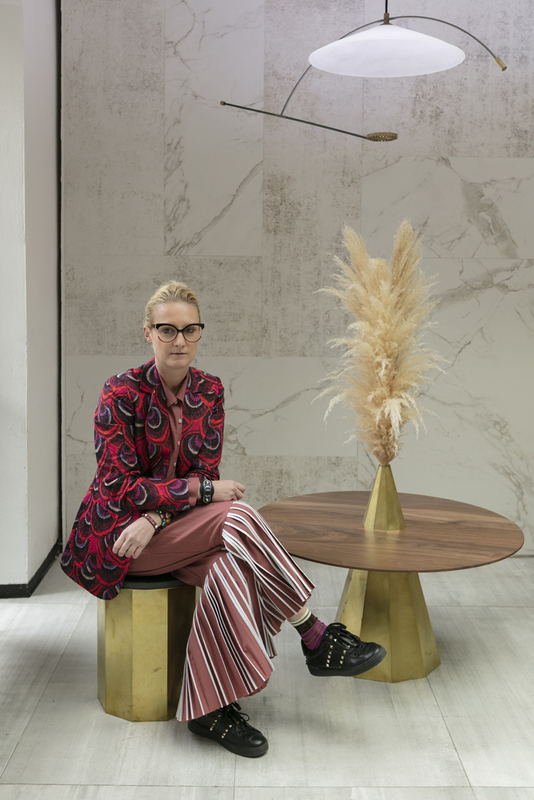 This year Moooi presented Moooi – A Life Extraordinary and, with a change of location to Via Moscova, the offering was more intimate than in other years with a group of curated rooms. The interiors embraced an Asian aesthetic and indigo blue was a feature. At Garage 21 on Via Archimede, the Kvadrat/Raf Simons collaboration, No Man’s Land, explored the “microarchitecture of textiles and yarns”, while the COS x Mamou-Mani’s Conifera exhibition juxtaposed traditional surroundings with futuristic sculpture in the courtyard of Palazzo Isimbardi. The installation was created using 700 interlocking modular bio-bricks that were digitally designed and fabricated. At the expansive Palazzo Litta a choral program was the drawcard; however, there was a wonderful exposition of Korean artists presenting a variety of works and, set within the breathtakingly ornate Baroque interior, this exhibition was a winner. The Tortona precinct was filled with crowds and it seemed that most doorways led to a new design adventure. Living in the Fast Lane was an introduction to the workings of the research arm of car giant Lamborghini and there was much love in the air for the very real, very green Lamborghini that was on show at Magna Pars Suites Hotel. There were also some special highlights throughout the week such as the launch of Robert Mills Architecture and Interiors’ video at the Michelin-starred restaurant Contraste, Wilkhahn’s dinner for hundreds at the incredibly beautiful Villa Necchi Campiglio, a fun gathering of folks talking timber with designers and members of the American Hardwood Export Council and Space’s studio tour of Fondazione Franco Albini. As is usual at I Salone time Milan came alive like no other city can and all through the power of design. The breadth of this fair was enormous with an increase of installations spread over an ever-expanding geographic area so that one week was just not enough time to see everything. Shoes were worn out and legs were tired and then there was the FOMO for all the places that weren’t visited, but it was a week to remember over and over again… until next year! Enter the ADR and Cult Milan giveaway now!